Chemical plants rely on continuous and batch production processes, each posing different requirements for a control system. A continuous process calls for a robust and stable control system that will not fail and cause the shutdown of a production line, whereas the emphasis with a batch process is on having a control system that allows great flexibility in making adjustments to formulas, procedures, and the like. Both kinds of systems need to be managed in available quality history of product, and to be able to execute non-routine operations. With its extensive product portfolio, experienced systems engineers, and global sales and service network, Yokogawa has a solution for every plant process. Petrochemical companies’ needs are extremely diverse. To come out ahead in today’s highly competitive marketplace, producers are striving to improve quality and productivity. Yokogawa provides tailor-made solutions for these needs based on its long and wide-ranging experience in this field. Yokogawa has been serving the bulk chemical market globally and is the recognized leader in this market. With products, solutions, and industry expertise, Yokogawa understands your market and production needs and will work with you to provide a reliable, and cost effective solution through the lifecycle of your plant. Yokogawa has long served customers in the specialty and fine chemicals market. With a market leading batch solution that offers the best in class reliability and flexibility as well as industry experts who understand the complex requirements in designing a batch solution, you can be assured that in your partnership with Yokogawa you will have a system that will enable you to produce products that meet your customers’ needs in the future while maintaining safety and regulatory compliance. To combat global warming, the production and consumption of biofuels is on the rise around the world. 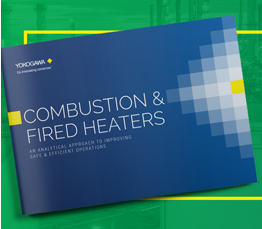 As a leading provider of measurement and control solutions to the chemical, oil, and other industries, Yokogawa has developed technologies that can be used to ensure the reliable and efficient production of bioethanol and other types of renewable fuels. Whether you produce petrochemicals, inorganics or intermediates, chemical companies are under cost and margin pressures to deliver products in a timely and efficient manner while maintaining safe and compliant operations. 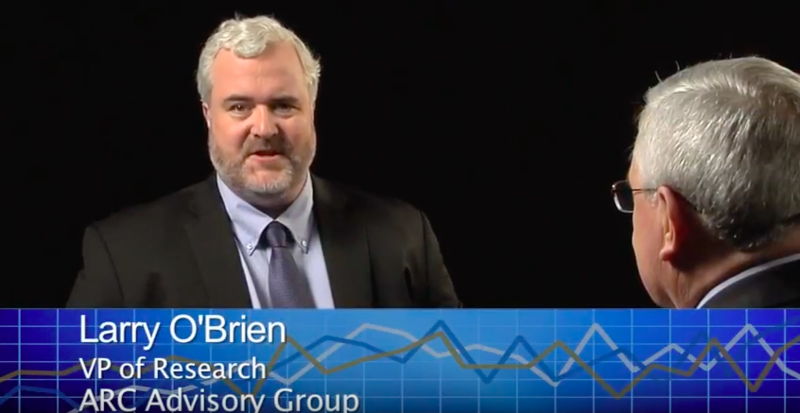 Additionally, chemical companies need to adjust to fluctuating feedstock and energy prices and to provide the most profitable product mix to the market. Yokogawa has been serving the automation needs of the bulk chemical market globally and is the recognized leader in this market. With products, solutions, and industry expertise, Yokogawa understands your market and production needs and will work with you to provide a reliable, and cost effective solution through the lifecycle of your plant. Yokogawa Electric Corporation released the world’s first DCS in 1975, which rapidly became popular among many customers in the chemical industry worldwide. 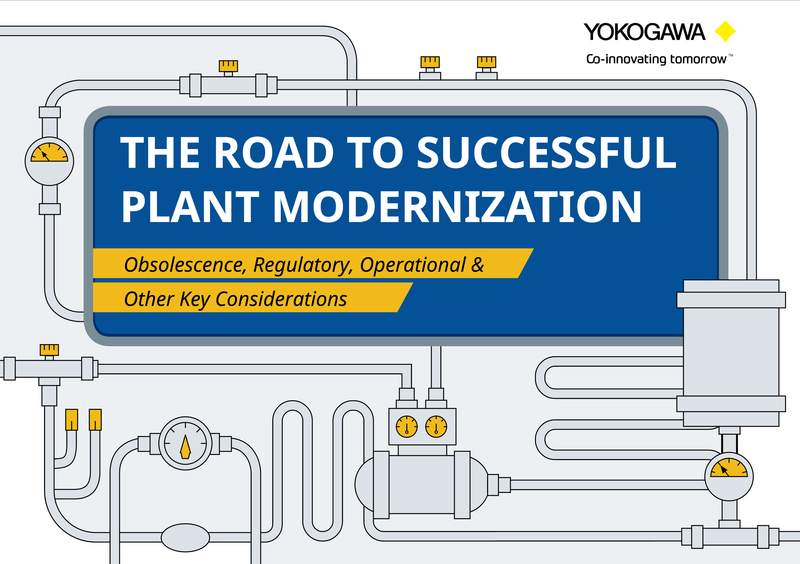 Yokogawa has thus been contributing to the safe and stable operation of users’ plants as a leading supplier of process control solutions in this industry. 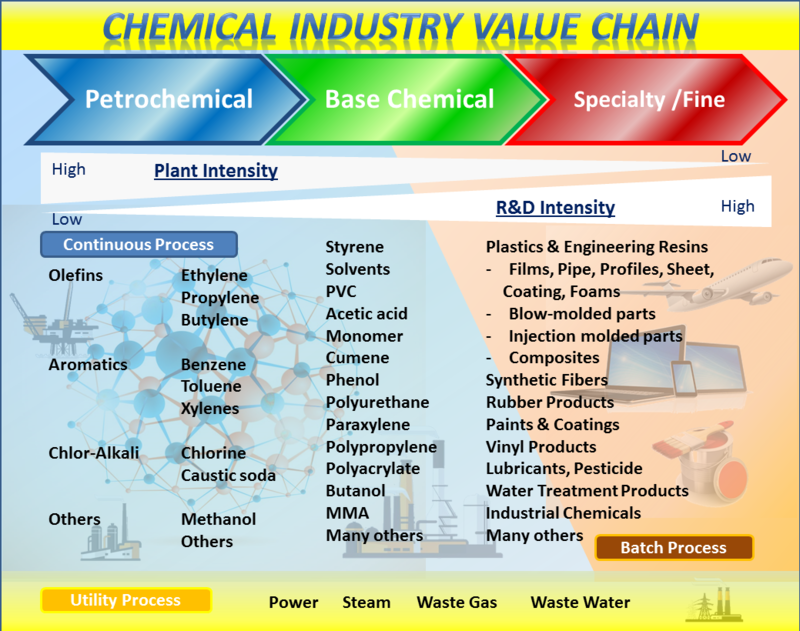 As the processes, products and value chain of the chemical industry are becoming more complex and sophisticated, so too are customer requirements. Yokogawa continues to provide industrial solutions and services to meet those needs by leveraging its wealth of experience and expertise in this field. We have also released various new solutions such as energy management in order to optimize plant operation. Yokogawa will continue to meet the expectations of customers in the chemical industry by providing state-of-the-art automation solutions as a comprehensive supplier. A variety of individual systems that perform scheduling and other functions are included in the manufacturing execution systems (MES) domain. The connectivity among systems is a fundamental key enabler for agile production management. Production workflows should be defined and monitored for reliable production management. The standardization of workflows is especially effective at companies with multiple production sites. Overall real-time production management is required to speed up the production plan-do-check-action (PDCA) cycle. Process identification (PID) control plays a fundamental role in process control. Proper tuning is required for stable process control and is a prerequisite for advanced-level control. Advanced process control and knowledge-based navigation systems are key contributors to a well-automated operation. Plant-wide optimization can be achieved with a real-time optimizer using rigorous model calculations. An approach to alarm management based on the well-known engineering equipment & materials users’ association (EEMUA) No.191 guideline is recommended. Alarm root cause analysis is also an effective approach to successful alarm rationalization. A wide variety of key performance indicators (KPI) should be monitored by each person. KPI monitoring requires comparison with targets and drilling down for detailed information. Production tasks need to be managed correctly by the system. Task progress monitoring is a valuable bridge between planning and manufacturing that facilitates cooperation in production management. Operator training systems allow operators to gain experience in handling various situations such as equipment malfunctions and in performing start-ups and other routine operations. It helps operators upgrade their skills. 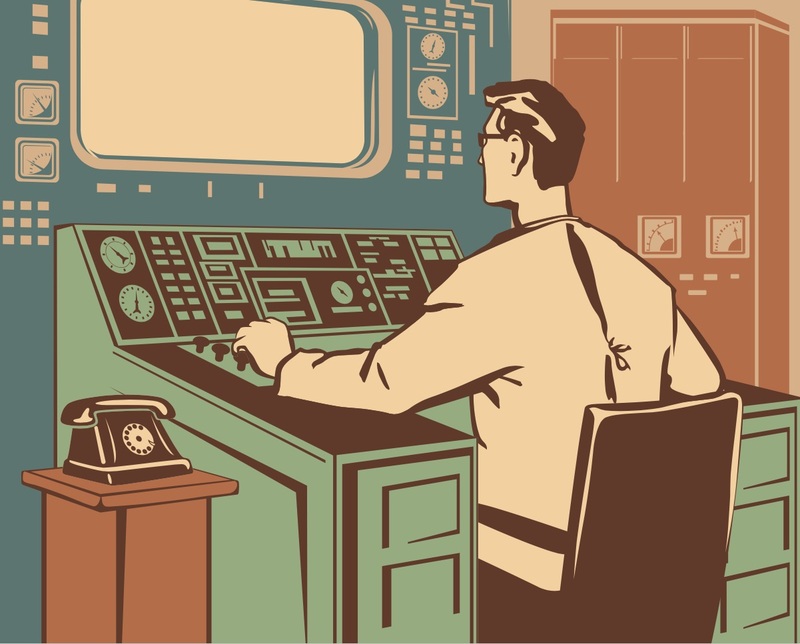 Control room design needs to take into consideration all aspects of the work environment including ergonomics, safety, ease of communication, functionality, automation of systems, and business policy. A central control room is desirable for an effective production environment. All production-related units should be stationed nearby to ensure good communication. In addition to centralizing the control room, the optimization of human resources and other activities can be considered to achieve production excellence. PRM allows a preventive maintenance approach where maintenance can be scheduled and performed before a field device fails. Exaquantum gathers plant data from the CENTUM VP to generate a variety of reports on the polymerization process. 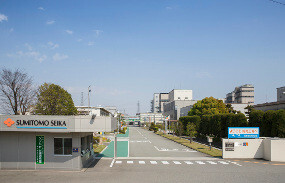 Sumitomo Seika achieved the quality stabilization by cross-department project. The fusion of process knowledge and data analysis technology was a key to the success. Based on a careful review of all operational procedures and operator roles and configured new SOPs in Exapilot. As a result, SFC has been able to reduce operator workload, improve product quality, and reduce production losses. Nan Ya had been using Yokogawa Micro-XL DCS since the plant opened in the 1990s. Step-by-step approach for migration from Micro-XL to CENTUM VP keeps downtime to a minimum. Stable operation and proactive maintenance were realized at new coal-chemical plant in China. 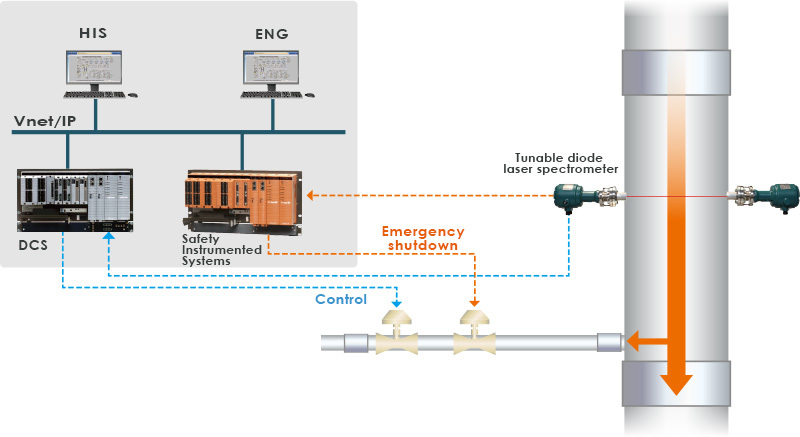 Yokogawa engineers ensured a successful and efficient commissioning and startup. Legacy System Replaced with Yokogawa CENTUM VP and ProSafe-RS at PTA plant in Indonesia. PID parameters imported to CENTUM VP without complex calculations. 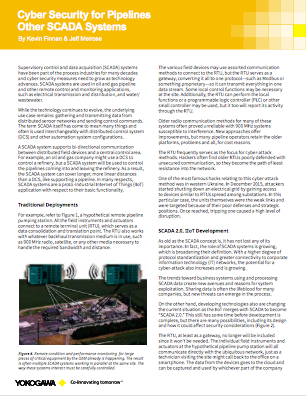 Operational Excellence by Asset Maximization, Utilizing Yokogawa's DCS, SIS, Analyzers, and Field Instruments. The CENTUM VP PCS and ProSafe-RS SIS were integrated using the same engineering environment. Nearly 60 gas chromatographs and a large number of other types of analyzers in several analyzer houses. The AFCO project is a showcase of the good coordination between Yokogawa Middle East, Yokogawa Thailand, Yokogawa Singapore, and Yokogawa Electric Corporation. Yokogawa Middle East and Yokogawa headquarters both were involved in the project execution. Yokogawa provides CENTUM CS 3000, Exaquantum and PRM solutions for China's largest refinery/petrochemical complex. 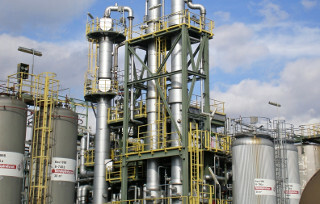 Process data management by Exaquantum is a key issue in the petrochemical complex. Using the CENTUM CS 3000 system, many kinds of plant key performance indexes are calculated and analyzed to produce further improvements. During plant start-up, PRM helps the customer's engineers perform all the loop checks. Main instrument vendor (MIV) concept was applied in this project to reduce the total project engineering cost. This consisted DCS, SIS, all instruments, control valves and tank gauging system under working with project management consultant (PMC) and EPC. Integration of CENTUM CS 3000 with ProSafe-RS improves plant safety and reliability. Yokogawa's PRM package manages more than 500 HART field devices including control valves. CENTUM CS 3000 production control system contributes to smooth HDPE production. The challenge for this replacement project was in completing the work and starting up the new CS 3000 system as soon as possible, keeping downtime to a minimum. CS 3000 efficiently controls and monitors coal gasification process. Once an operator selects "Start", the necessary instructions are sent to all plant equipment via the sequence control. Rapid Implementation of Integrated CENTUM CS 3000 and ProSafe-RS. The highly reliable CENTUM CS 3000 system has also helped TOL maintain high productivity at this plant. Migration from Micro-XL and CENTUM CS 1000 to CENTUM CS 3000 Improves Reliability. Operations at this plant, which runs more than 330 days per year, are carefully managed by the CENTUM CS 3000 DCS and the CS Batch package. CS Batch is used to automate a wide range of Reichhold's batch processes and multi-product/multi-path processes. Using PRM, process engineers can immediately find out the status of every field device without having to do an onsite inspection. 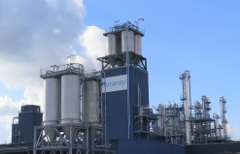 Samsung Petrochemical Co. Ltd. (SPCL), a major Korean petrochemical company, produces 700,000 tons per year of purified terephthalic acid (PTA) at its Daesan plant. PTA, a white powder substance that is produced by oxidizing and refining para-xylene, is a precursor to polyethylene terephthalate (PET), a polyester material that has excellent thermal resistance and wear resistance and is widely used as a substitute for natural cotton fibers and in film packaging, beverage bottles, tire cords, paints, adhesives, and other applications. 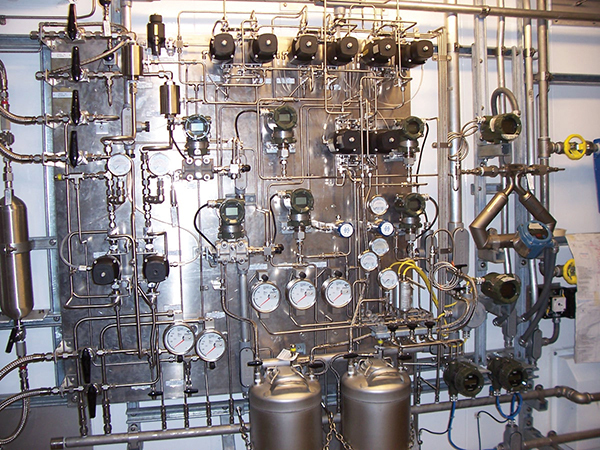 Installation of Exaquantum PIMS package improves efficiency of process data management. Improve quality and yield through proactive maintenance of plant assets. Introduction of CENTUM CS 3000 maximizes productivity and improves product quality at special polymer plant. A major improvement as a result of this project is that butadiene monomer recovery efficiency jumped huge. CENTUM VP Batch replaces the legacy system and improves production efficiency in the acrylic plant. CENTUM VP Batch capability can handle the recipe management to Batch report handling and unit management. CENTUM VP Batch package improves productivity. Reduction of operator workload and safe operation. PetroChina Dushanzi Petrochemicals Polyethylene Plant system migration. The revamp included the challenging creation of function design specifications (FDS) as well as FAT and SAT. Highly reliable CENTUM CS 3000 replaces legacy system and automates batch plant operation. Working together, Hanwha Chemical and Yokogawa Korea project personnel completed this work on time and on schedule. Fieldbus technology introduced to realize predictive and preventive maintenance. ISAE to improve the reliability of diagnosis and parameter setting, utilizing data collected by PRM. Kaneka Corporation has urgently needed to implement countermeasures that would reduce this facility's energy costs. Optimization of control strategy helps BTG plant save energy and operate more efficiently. Yokogawa's CENTUM VP and PRM improve efficiency at new nylon plant in Thailand. At the plant startup stage, PRM was used together with FieldMate to thoroughly check all loops. At the company's Ulsan resin plant, six Exaquantum servers were connected to CENTUM CS 3000 and other vendor's systems. KKPC needed to expand its SBC capabilities and improve production efficiency at its plants. CENTUM CS 3000 and Exaquantum PIMS improve production efficiency at Chinese synthetic rubber plant. Exaquantum provides data on long-term trends needed to make improvements to plant processes. Up to 90% of all manual tasks can now be carried out automatically. Increasing productivity by means of partially automated start-up and load change procedures. All logistics of raw materials, intermediate products and final products are controlled and managed by MAS. MAS enables Operational Excellence with its seamless interface to enterprise resource planning system. The work was based on a preceisely formulated roadmap with detailed checklists for every control cabinet, process station, and network component. The seamless use of the same HMI for both PCS and SIS, and improved safety and integrity. Exapilot automates comlex and non-routine decoking process of NCUs. Operator workload has been drastically reduced. Taiyo Nippon Sanso Corp. was looking for a system that could be easily adopted to its plant architecture. 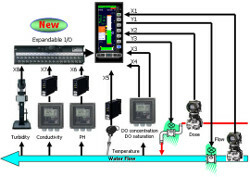 For the following reasons, Yokogawa's STARDOM system with the FCN autonomous controller and the VDS Web-based SCADA software was selected as their control system for a Water-18O plant and other facilities. Exapilot was built up as e-SOP system based on the standard operating procedures and the know-how of experienced operators. e-SOP system improved the quality and productivity in the performance chemical plant in China. Nippon Shokubai Co. - Drastic Reduction in Operator Workloads and Faster Plant Startup and Shutdown / Nippon Shokubai Co., Ltd.
Tsurumi Soda Co., Ltd. Japan - Exasmoc achieved significant power savings / Tsurumi Soda Co., Ltd.
IFCo chose Omegaland operator training system to make ready for a flawless and safe plant start-up. Omegaland is contributing to operator training prior to completion of the greenfield fertilizer plant. Yokogawa CENTUM VP and SIS were selected for the Evonik Oxeno's BTX facility expansion project. CENTUM provides the operational transparency, and more efficient diagnosis of compressors which are the heart of the facility. Yokogawa's network healthiness check service helped the customer identify what they need to protect against cyber-attacks. 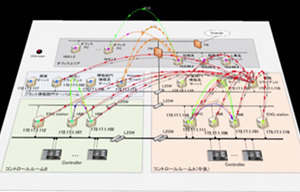 By “visualizing” network traffic in control system, the customer was able to detect unauthorized communication in their system. 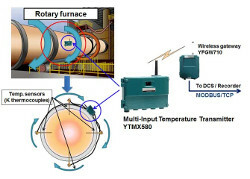 A Japanese petrochemical plant leverages FDT/DTM-compliant intelligent field devices and Yokogawa's PRM asset management system for maintenance efficiency. The customer aims to improve maintenance efficiency further by introducing condition-based maintenance (CBM). Yokogawa assisted in the project implementation by providing design review, calculation modifications, pre-commissioning, training of operators and engineers, commissioning and post implementation review. Shell Global Solutions and Shell Deer Park Management were completely satisfied with the way the project was implemented and with the results achieved. 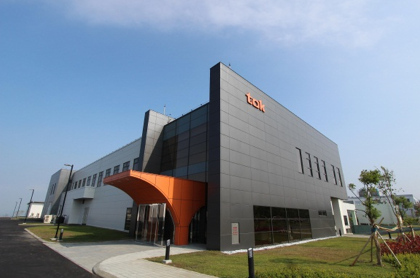 TOK decided to start local production of high-quality photoresist for semiconductor manufacturing near its customers in Taiwan. The MES with traceability comparable with pharmaceutical manufacturing is one of the factors to win the trust of its customers. Yokogawa's operational performance program bench mark service enhanced the automation performance at the chemical plant. Operator stress was dramatically reduced by identifying the causes of excessive manual interventions. Yokogawa joined forces with Air Liquide to co-innovate the step-by-step revamping plan based on Air Liquide's specific requirements. Customer was satisfied that Yokogawa was able to deliver its solutions on time and on budget. FDT compliant FieldMate manages a wide variety of digital process instruments of multi-vendors. The SNF engineers can manage the complete lifecycle of assets and configure devices by using FieldMate. Kuraray EVAL and Yokogawa prepared carefully for the expansion and modernization of the CENTUM system. Management of 400+ fieldbus instruments by Yokogawa's PRM plant resource manage also helped the project to proceed smoothly. The UT series of temperature controllers is perfect for controlling the heating temperature of sealing parts and the temperature of sealing rolls (pre-heating) in a variety of different wrapping machinery. This introduces a system that uses Ethernet communications to acquire measured values, target values, and control output values from a controller installed on site into a PLC at high speed (ten units' worth within one second). In the plants of food and beverage manufacturers, there are times when monitoring and recording of production equipment is necessary inside clean rooms. This is an introduction to monitoring and recording in clean rooms using paperless recorders. 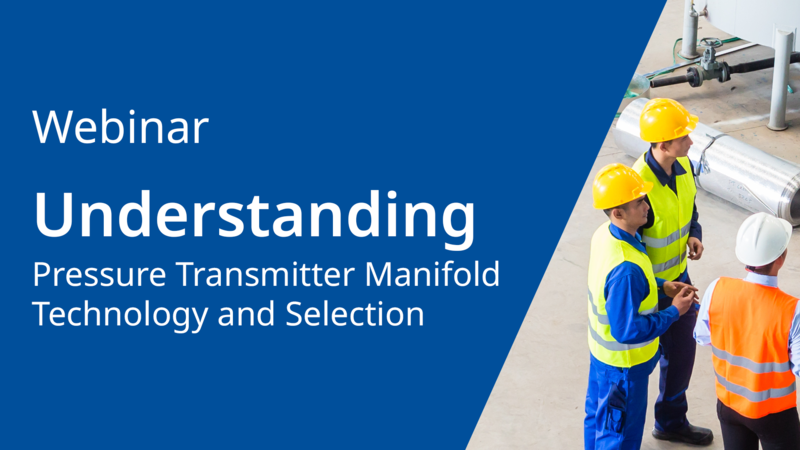 Operators must receive diagnostic information before a line block leads to a malfunction. 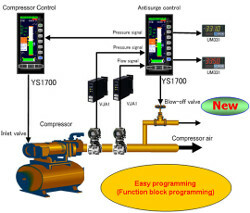 Yokogawa provides predictive diagnostics based on trend analysis of the blocking factor, which improves maintenance efficiency and reduces maintenance costs. Steam is still one of the most popular methods of providing an energy source to a process and its associated operations. The more accurate and reliable measurements that are made, the more informed decisions can be taken that affect costs and product quality. Level transmitter configuration can be very time consuming. DPharp transmitters with advanced software functionality eliminate this time consuming task. With maintenance shops getting smaller, finding equipment that allows us to do more with less becomes a priority. One of the most common applications for differential pressure transmitters is flow measurement. DPharp differential pressure transmitters have some unique signal conditioning features to eliminate instability at low flow rates. Recently, air pollution legislations such as the Clean Air Act to reduce the amount of air pollution are increasing worldwide. The Clean Air Act address numerous air quality problems. One of these problems is acid rain caused by sulfur dioxide and nitrogen oxide emissions from fossil-fueled power plants and other industrial and transportation sources. The CX1000/CX2000 offers an average value computation function making it ideal for controlling temperature and other fluctuating phenomena. The operating status can be controlled in real time, providing operating cost reductions. If water is present after the dry chlorine tower in brine electrolysis plants, the downstream compressor is corroded or the product quality is deteriorated. The moisture level is measured before and after the compressor to prevent the corrosion of the compressor and the deterioration of quality. O2 measurement in hydrocarbon vapor is used for safety monitoring in vacuum distillation columns in petroleum refining. With conventional paramagnetic oxygen analyzers, O2 concentrations are obtained through an extractive sampling system, which conditions the sample prior to being analyzed. In flue gas desulfurization systems that use magnesium hydroxide (Mg(OH)2) slurry, the consumption of the desulfurization agent (Mg(OH)2) is controlled by using online pH analyzers. A great concern in the pH measurement is heavy staining of the pH electrodes by the Mg(OH)2 slurry. To ensure accurate measurement, frequent cleaning of the electrodes with an acid is required, adding to both maintenance workload and cost. The ADMAG AXR is the world's first 2-wire magnetic flow meter which employs the unique "Dual Frequency Excitation Method," achieving 0.5% of rate of best-in-class accuracy and excellent stability for process measurement. In addition, the newly developed AXR key technologies," achieves the same level of noise immunity as 4-wire type under the fluid condition change and delivers enough performance to meet the requirement to apply in the control loop. Control of sodium chloride (NaCl) concentration at a salt dissolver where solid salt is dissolved in water, is highly important because of the electrolysis efficiency. A conventional way of measuring the concentration of supersaturated NaCl solution had been performed by using non-contact type sensors (e.g., γ-ray density meter) since NaCl, impurities, and precipitates are in the solution. In the manufacturing process of Pharmaceutical, Chemical and Food & Beverage industries, the cleaning and sterilization of tanks and piping are done with various cleaning solutions, fresh or hot water and steam after manufacturing products. Clean-In-Place (CIP) is the system designed for automatic cleaning and disinfecting. Reverse osmosis (RO) is a separation process that uses pressure to force a solution through a membrane that retains the solute on one side and allows the pure solvent to pass to the other side. More formally, it is the process of forcing a solvent from a region of high solute concentration through a membrane to a region of low solute concentration by applying a pressure in excess of the osmotic pressure. Caustic soda is an important basic material in the chemical industry and is mainly produced by the electrolysis of soda. In the electrolysis process to make concentrated caustic soda, the DM8 Liquid Density Meter ensures high product quality through accurate measurement of liquid density. Process liquid analyzers such as pH meters, conductivity meters, ORP meters, and density meters play an important role at electrolysis plants in the control of concentrations of various process solutions. This requires both precision and stability under harsh conditions that include highly corrosive substances, high temperatures, and many impurities. The discharge of improperly treated industrial chemicals and fuel gas can have a major impact on the environment, posing a serious threat to public health. Concurrent with the global growth of manufacturing operations to keep pace with market trends, many countries are taking measures to deal with environmental problems. Storage tanks are used in a variety of industries ranging from holding crude oil to holding feedstock for vinyl chloride monomer (VCM). Industrial Combustion sources such as thermal cracking furnaces and, process heaters play a critical role in the process industry. Because the large amount of fuel such as gas or fuel oil which is consumed in these processes, their combustion efficiency directly affects the performance and operational costs of the production facilities. In the YS170 and SLPC, single-element control needs to be configured within the user program. The YS1700, however, offers the primary direct mode so that the user program can switch on and off single-element control by changing a parameter. For safe and efficient operation, the quality of feedwater, steam, and condensate in boiler plants must be controlled and maintained in the most favorable conditions. The inlet valve and blow-off valve are controlled efficiently. 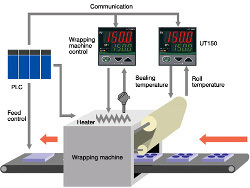 Controls temperature in, and acquires data from, various internal components of plastic film manufacturing equipment. An easy to use, high cost-performance data acquisition and monitoring system can be assembled by using Ethernet compatible instruments and DAQWORX package software. Emergency interlock circuits for petrochemical plants and other facilities must be independent of the main control system. 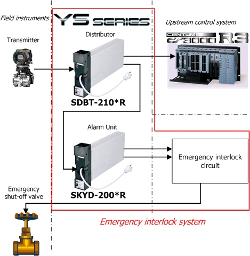 The YS80 Rack Instrument interfaces not only with field devices and upstream control systems, but also with emergency interlock circuits guarding against process abnormalities. With industrial and economic development comes increasingly large and advanced power plants and factories. Nevertheless, we find many cases where the original cables, cable tunnels, and other components of the power infrastructure have languished under continuous operation. Risk management is crucial when expanding your business. In limestone-gypsum flue gas desulfurization systems, the consumption of a desulfurization agent (lime) is controlled using online pH analyzers. Fired heaters are used for various processes in oil refining and petrochemical plants. Temperature monitoring is required to prevent wind-fueled fire hazards. The measuring points are up to 600 meters away from the control room. Both bulk and finished inventories are stored in distributed tank farm remote from the site operations. These are difficult to instrument due to the infrastructure cost involved. These are then monitored daily by patrol rounds. While effective, this method does require a large skilled labor force to monitor all of tanks. This can impose an additional risk when the stored medium is of a hazardous nature. Daily manual reading of pressure and temperature gauges with report by phone. The customer wants to change measurement from off-line to on-line. Cabling for wired transmitters in huge plants (up to 300 meters long) is expensive. Temperature is monitored to maintain consistency of the viscous fiber entering the drum. Existing system requires manual temperature readings. Wired temperature measurement is not available because the tank is rotating. Extended antenna to circumvent obstacles and improve the radio path for stable measurement (communication was unstable when the height of the antenna was low). No cabling installations or maintenance. Small amount of hardware and simple equipment implementation means minimizing potential vandalism. Gateway is installed at control room and 3m height extended antenna is set. 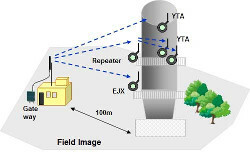 Temperature Transmitter (YTA) and Pressure Transmitter (EJX) are installed at each monitoring point. Repeater is installed on high position. 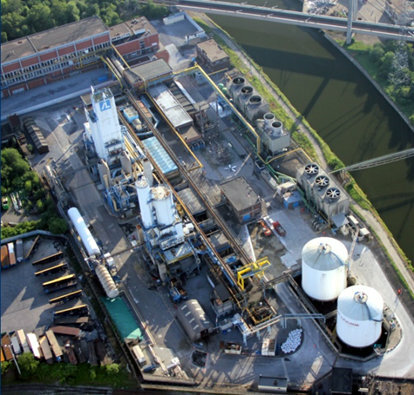 In maintaining and managing industrial plants, monitoring waste water pH/ORP is both a legal obligation and an unavoidable necessity for protecting the environment. Monitoring without an attentive eye can lead to severe consequences. The DXAdvanced Paperless Recorder (hereinafter, the DX) lets you write arbitrary messages on the trend display screen that are useful for writing comments or memos. Moreover, with a combination of the DX touch screen model (DX1000T/2000T) and the custom display function, you can write messages, start/stop recording, and perform a variety of other tasks at the touch of a button. Visual MESA© is a steam system optimization and management computer program that was originally developed at Chevron and now marketed by Nelson & Roseme, Inc. Visual MESA is currently used at refinery and chemical manufacturing sites to optimize the overall site steam system and the parts of the electrical system that economically trade off with the steam system. This paper will explore significant optimization variables and constraints commonly encountered in refinery steam system optimization, the strategies Visual MESA uses to deal with them. In the course of more than twenty years as an engineer involved directly in utility related projects in a number of industries, I have seen a great variety of energy efficiency projects and programs covering the entire spectrum of efficacy. The Deer Park, Texas, plant of the Rohm and Haas Company has a unique energy management program that has proven to be highly successful. This program has resulted in a 17 percent reduction in energy use on a per pound of product basis, saving 3.25 trillion btus and $15 million each year! This article discusses this program, its history, successes, and the unique characteristics that have contributed to those successes. In general, refineries exhibit a very good potential for real time monitoring and optimization using Visual MESA Energy Management System. Based on our extensive experience, overall benefit in the range of 2% to 5% of the total energy cost can be achieved. Expected project payback is always less than one year. The REPSOL company had in mind the improvement of the control on one of their chemical reactors. A feasibility study for the implementation of an Advanced Control technique (Predictive Control for temperature control for chemical Reactors - PCR) for a batch reactor for Polyols production has been performed. The proposed technique PCR is based on a dynamic model of the unit which makes the prediction of the process variables behaviour. This paper will not describe just all the features of the software or fully explain on-line optimization technology. The objective of this work is to present some interesting facts and lessons from the experience of implementing a cost based optimization program at thirty oil refineries and petrochemical complexes, around the world, since 1997. This paper will focus on the key optimization variables and constraints in steam system optimization, how they should be handled and how the human and organizational aspects can be addressed. 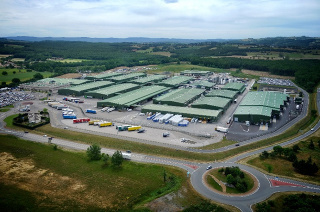 Industrial facilities where power and steam is produced (i.e., Cogeneration) exhibit a very good potential for real time monitoring and optimization using Visual MESA Energy Management System. Visual MESA was successfully applied to many industrial facilities worldwide, several of them operating steam and power generation networks of different complexity and capacity but all with energy cost savings. This paper discusses real industrial examples in which the sitewide utilities system of refinery and petrochemical Sites are optimized with a real time, on line, industrially proven software. Experiences gained during more than 20 years of industrial projects deployed worldwide are commented (Refs. 1 to 10 are related to some recent projects). Main project steps are explained and critical details to be taken into account to assure successful use and proper technology transfer are presented. Specific case studies will be discussed in the paper. Utilities and energy systems are often the major source of SOx, NOx and CO2 emissions, therefore, emissions control and the management of credits and quotas are tightly interrelated with energy management. In the case of refineries, chemical and petrochemical plants, energy represents the main cost (second to feedstock) and therefore its reduction has become a bottom line business decision. The energy systems at these sites are inherently complex, with the emissions cost analysis and limits compliance introducing an additional factor to the complexity of the energy costs reduction challenge. Process plants use different type of fuels, they often operate cogeneration units, their steam networks consist of several pressure levels, there are different types of energy consumers and there are emission limits to be observed. Import or export of electricity in deregulated markets, which could also be traded off with more or less CO2 and other contaminant gaseous emissions, increase the optimization problem complexity. After a feasibility study, Repsol YPF decided to apply a model-based predictive controller to a batch reactor producing polyols. The predictive controller for reactors (PCR) is a set of control modules that are designed to face most of the reactor configurations. The important increase of production is a consequence of the better handling of the reactor temperature. Here's a description of the unit and control objectives, methodology, project steps, results and the corresponding benefits. 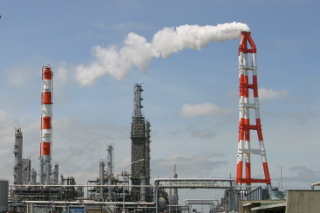 Big and complex industrial facilities like Refineries and Petrochemicals are becoming increasingly aware that power systems need to be optimally managed because any energy reduction that Operations accomplish in the producing Units could eventually be wasted if the overall power system cost is not properly managed. However, process engineers always attempted to develop some kind of tools, many times spreadsheet based, to improve the way utilities systems were operated. The main drawback of the earlier attempts was the lack of data: engineers spent the whole day at phone or visiting the control rooms to gather information from the Distributed Control System (DCS) data historian, process it at the spreadsheet and produce recommendations that, when ready to be applied, were outdated and not any more applicable. This paper addresses some of the root causes for issues and discusses the best practices that will help to avoid project failures. Main project steps are explained and critical details to be taken into account to assure successful use and proper technology transfer are discussed. It also presents real industrial examples in which the whole utilities system cost of a production Site (i.e., steam, fuels, boiler feed water and electricity) is optimized with a real time, online, industrially well established software. The energy systems, the steps for the implementation of Visual MESA and several features of the model are described in this article, with a focus on the use of the software for the calculation of energy-related KPIs. The EMS implementation project is discussed and the main conclusions relative to the reduction in operating costs are also presented. Experiences gained during more than 20 years of industrial projects deployed worldwide are commented. Main project steps are explained and critical details to be taken into account to assure successful use and proper technology transfer are presented. Specific case studies will be discussed in the paper. Open loop vs Closed loop implementation is also presented. Plant Overview: Rohm and Haas Texas Inc.
Rohm and Haas Company is one of the world's largest manufacturers of specialty materials, including adhesives, sealants, coatings, monomers, electronic materials, inorganic and specialty solutions, and ion exchange resins. Founded in 1909 by two German entrepreneurs, Rohm and Haas has grown to approximately $6 billion in annual revenues. Alarm management is not just a project that has a start and end date; it's a continuous cycle. Once the alarm system has been reviewed and improvements have been identified, we must check that controls are in place to ensure the alarm system remains functional. The key is to ensure that the system is continuously monitored and any changes are fully documented. There are seven key steps for alarm management. Rationalization is one of those critical steps. 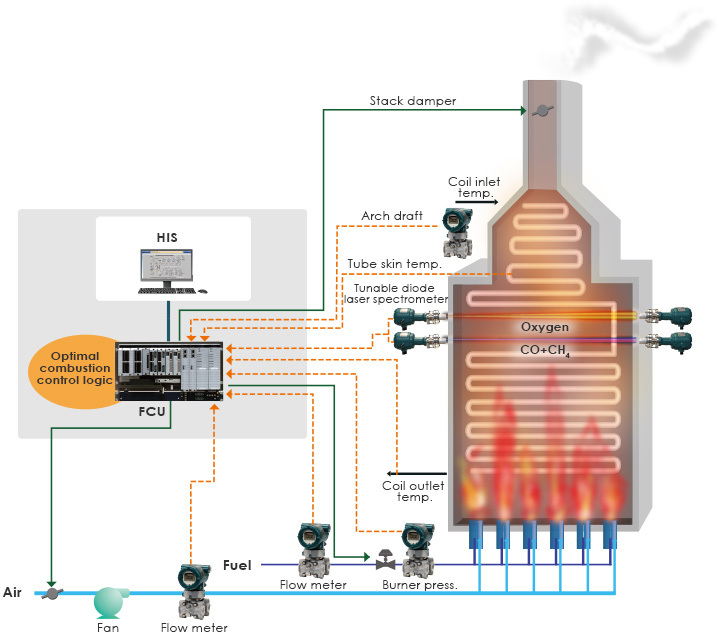 This paper shows how to improve distillation operations by focusing on procedure automation. It will review the importance of using procedures in distillation operations and highlights the collaboration work underway between Fractionation Research Inc. (FRI) and Yokogawa Corporation to improve procedural operations. The worlds of process automation and production management have been converging for some time. What once used to be islands of automation and production management functionality connected through highly proprietary integration schemes that were costly to maintain have developed into integrated platforms that provide seamless data exchange between the world of automation and the plant floor, the functions of production and operations management, and integration with business level systems. The world of process automation is governed by procedures. While we like to refer to the process industries as being largely "continuous", this could not be further from the truth. Process manufacturing is constantly in flux. From engineering to installation, commissioning, operations, and maintenance, FOUNDATION fieldbus offer significant cost reductions of 30 percent or more versus conventional analog systems. Many of these cost reductions come from the advanced functions that fieldbus offers versus analog technology. The automation suppliers that will be successful in the long term will be those that effectively address application or industry specific problems for end users with a value proposition that cannot be ignored. These problems exist throughout the process industries today, and they won't be solved by simply offering a product, but through a combination of hardware, software, services, application expertise, and knowledge. In ARC's view, customers need a compelling business value proposition to justify investment in any kind of automation. Vigilance and VigilantPlant were created with this in mind. Yokogawa's vision with VigilantPlant is to create an environment where plant personnel and operators are well informed, alert, and ready to take action. 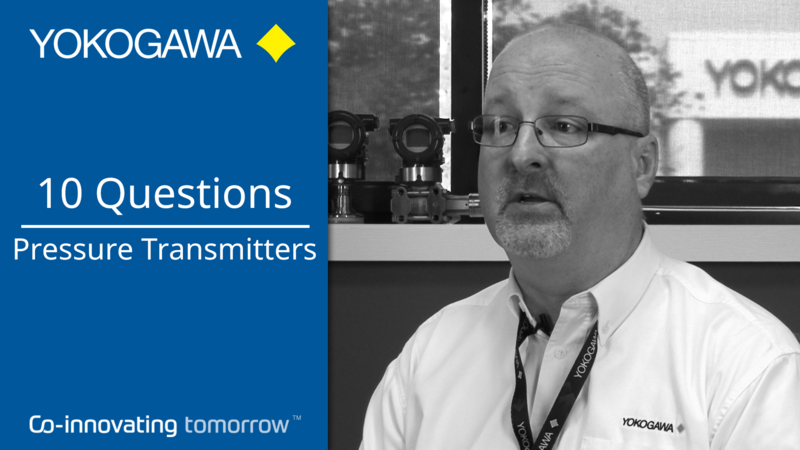 Yokogawa has come a long way in making its message clear to the world of process automation. Last year, the company embarked on a full-scale global marketing campaign to make customers aware of the company's focus on system reliability, security, dependability, and robustness. Dubbed "Vigilance", the campaign created a unified message for the company and greatly helped expand awareness of the Yokogawa brand and corporate philosophy. Process automation end users are under more pressure than ever to do more with less. The current economic climate means that many automation capital projects are on hold. With capital budgets tighter than ever, users instead focus on operational budgets (where cost cutting is also a key concern), or on automation investments with a very rapid return on investment. In today's dynamic industrial marketplace, the only constant is change. Raw material costs, energy costs, market demands, environmental and safety regulations, technology, and even the nature of the labor force itself are constantly changing, and not always in predictable directions. Migration of a refinery's DCS provided an opportunity to reconfigure and consolidate the control rooms and operational management system. Process plants are run according to operational procedures. These procedures consist of a set of tasks that are executed in a consistent manner to achieve a specific objective, such as starting up, shutting down or transitioning a unit as part of making a product. Yokogawa is helping a large chemicals site in China manage product transfer by road, ship and pipeline. The new CSPC (CNOOC and Shell Petrochemicals Company Limited) petrochemical complex at Daya Bay in southern China is one of the world's largest process industry projects (see box, Figure 1 and Table). It has a control system to match. Process Worldwide spoke to Johan Veerman, principal instrument and process control engineer at CSPC, about the challenges of managing such a huge job. In times of abnormal operations, systems are configured to produce lots of data – humans are not configured to handle or interpret them. However, when presented with the right information, in the right context, during an abnormal condition, humans are able to do things machines cannot. ISA S88.01 provides great benefit to users and vendors by solidifying batch operating models and standardizing batch control terminology. On the other hand, as befits an industry-wide standard, ISA S88.01 leaves great flexibility for individual users to apply their own project practices and implementation methodology. Even when utilizing ISA S88.01 models and terminology, many pitfalls remain for those who implement batch controls and recipe management without thinking ahead. Real-world project experience has demonstrated a number of design and implementation "lessons" which might be overlooked to the eventual grief of the batch engineer. The S88.02 draft standard defines a means for depicting procedural control in master and control recipes. This depiction method is called a Procedural Function Chart (PFC). 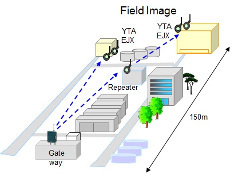 This standard depiction is based on the requirements of S88.01, technical report ISA-TR88.0.03-1996, user requirements, previous standards and commonly used procedure depiction methods in use today. PFCs can provide a common basis for the exchange of recipes, reduce the learning curve between control systems, and establish a common ground for improved human communication. This paper provides a brief overview of the development of PFCs, the rules for their use and some of the benefits expected by their adoption in the industry. The case study in this paper illustrates the value of integrating front-end scheduling with a batch control system. Recipe changes, and addition of recipes, occur frequently in the target process. However, since both scheduler and batch packages were designed with the ISA-S88.01 model in mind, these packages could be tightly coupled (well integrated) – and, as a result, it is easy to add or change recipes. The front- end scheduler is not limited to performing scheduling; it also provides an easy-to-grasp real-time production status display which can help enhance efficiency and productivity. As batch processes are automated, it is common to leave certain less essential field devices without automatic actuators. Thus, the initial control design must accommodate both automated and manual activities. Later, the manual field devices may be automated, either one-at-a-time or in related groups as equipment modules. These field changes, often occurring over a period of years, each require rework of the batch control logic, which can easily exceed the cost of the actuator. 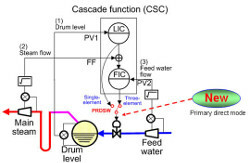 In response to this undesirable situation, a technique has been developed which permits the batch design to automatically modify itself, or evolve, to accommodate changes in field automation. Six Sigma is a quality improvement methodology applied to improving any type of process. It is a methodology endorsed by and heavily integrated into several major chemical companies. Key Performance Indicators (KPIs) are used in batch processing industries as measurements of production performance. Their use is one element in the current trend of real-time performance management. A single KPI used as the primary measurement of production can cause other dimensions of production performance lose importance. When multiple KPIs are used to measure a batch's production performance it can be difficult to reconcile differences between them for individual batches or for groups of batches. KPIs based upon meeting a target, or specification, measure absolute performance yet do not provide relative information regarding how a batch performed against its peers. The peer comparisons are important for monitoring variability of production performance, which is a critical factor in documenting ROI. 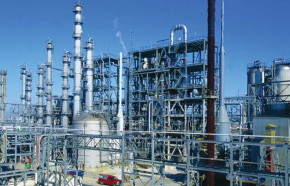 The application of DCS-based "advanced controls" is a common method of achieving enhanced performance from continuous processes such as refinery units. However, it is less widely recognized, but nonetheless true, that modern DCS systems can include other software tools for the significant improvement of batch plant productivity, product quality, and economic performance. Due to the fundamental processing differences between the two types of plants, unique batch "advanced control" features are required which are different from those used for continuous plants. Standard Automation Methodology Improves Operations and Prevents Incidents by Enabling the Sharing of Best Practices Among Operators. ARC believes that by implementing procedural automation, many process plants can minimize variability to help ensure smooth, efficient, and safe state transitions. Process automation in oil refineries is undergoing major changes, driven by customers frustrated by what they consider to be slow and incremental advances from the main automation original equipment manufacturers (OEMs) in the industry. ExxonMobil has become a de facto industry representative and is driving vendors like Yokogawa and others to reevaluate how large-scale automation projects are implemented. Many lubricant blending businesses find themselves in a challenging situation: there are opportunities to increase their overall business volume and profits by improving production flexibility, expanding their product slate and optimizing high-margin blends. At the same time, they find themselves constrained by current manufacturing limitations. However, launching a capital project for a significant manufacturing expansion may not be possible, and it may not be necessary. Machines can support humans when facing a stressful situation. Using a standards-based approach can reduce the likelihood of a problem escalating. Honeywell and Yokogawa have both been producing Distributed Control System (DCS) platforms for decades, and both are very active in this area. In 1975, Honeywell introduced its TDC2000 platform and Yokogawa brought out CENTUM. These two competing systems emerged from a similar place, oil refining and petrochemical industries, so they started out with similar basic concepts and use cases in mind. Chet Mroz, President & CEO Yokogawa North America, discusses the benefits of IoT at the 2015 ARC Industry Forum in Orlando. How much do you know about pressure transmitters? Are you accurately, quickly and reliably measuring pressure? Ultimately, the drive of any good pressure transmitter is to get an accurate, reliable pressure measurement to the data user quickly. This video gives you the answers to your basic questions about pressure and pressure transmitters.